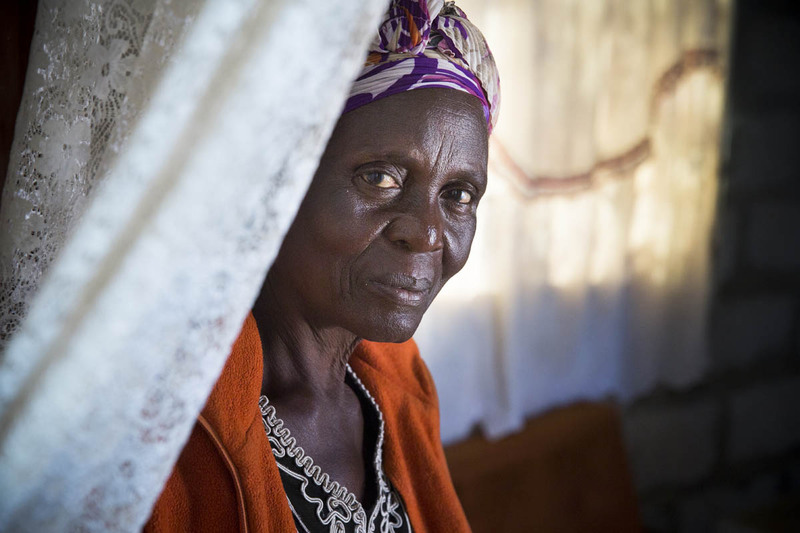 LUSAKA, ZAMBIA (8/6/14)-Anna Lupasha, 56, lives in the Chazanga community with her three grandchildren. They have lived in their home since 2013; it was built as part of the Orphans and Vulnerable Children program (OVC) at Habitat for Humanity Zambia. HFH Zambia created its OVC housing program in 2005, in order to respond to the HIV/AIDS epidemic that was creating an overwhelming number of orphans. The OVC program focuses on providing appropriate, fully subsidized houses to specifically orphaned and vulnerable children under the age of 18. The project is supported by Irish Aid through Habitat for Humanity Ireland, and is being implemented in Ndola in the Copperbelt Province, and in urban slums around Lusaka.